Our Little Family: 10 Years Already? 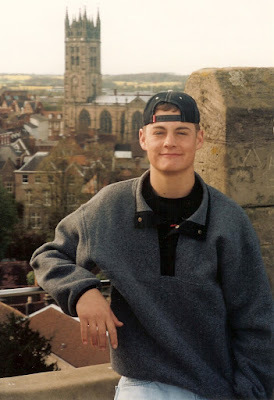 Every year on this day, I look back on my life and remember how grateful I am to my brother. Ten years ago today, at LDS hospital in Salt Lake, Devon and I went into adjoining operating rooms and both had our guts opened up. Devon donated a kidney to me and made it possible for me to pee like a man again (I hadn't peed for seven months before this.) That was one of the best feelings of my life. This is the only picture I could find (other than the one I posted last year) of Devon and Mike together. 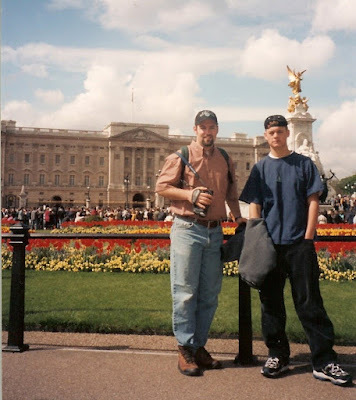 It was taken in London a few years before the transplant. There are many different criteria that has to be met in order for a donor's kidney to match the recipient and miraculously Devon's kidney was an absolute perfect match. It's almost like it was made for me (maybe it was). If Devon hadn't donated his kidney to me, I would of had to wait a few years to receive one. That means I probably wouldn't have met Erin on our missions and our little family wouldn't exist. I can't think of anything worse. I love Erin and Bryson so much and I'm so grateful for them in my life. 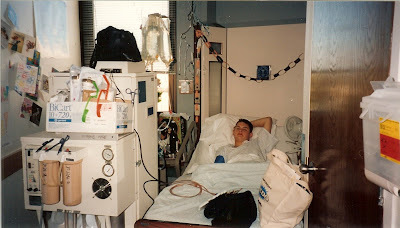 Thanks to Devon, I only had to be on dialysis for about seven months and his kidney has worked perfectly for 10 years. Hopefully I'll never need another transplant in my lifetime. 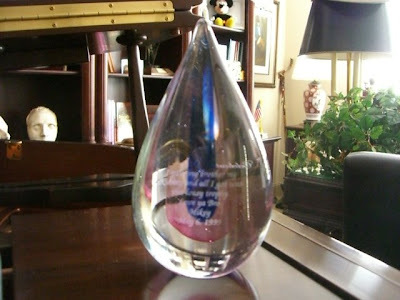 Mike gave this tear-drop trophy to Devon today to celebrate their 10-year. 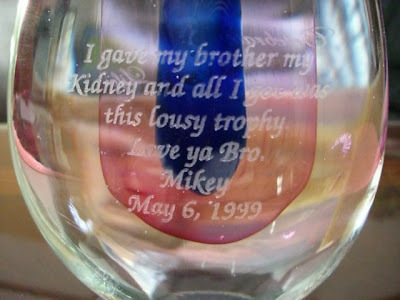 It says " I gave my brother my kidney and all I got was this lousy trophy. Love ya Bro. 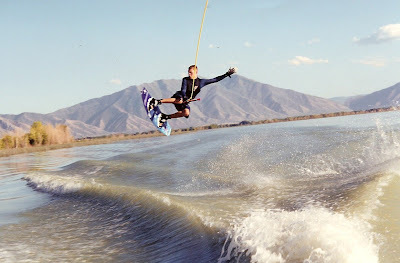 Mikey May 6, 1999." In London the same time the first one above was taken. Thanks Devon for giving me the chance to find the hottie pictured above. I will forever be grateful!